A couple were rescued from the Coast to Coast Walk route after getting lost in the dark. The pair were using Google Maps to navigate when they became disoriented near Greenup Edge on Friday. Two mountain rescue teams, search dogs and a rescue helicopter took part in a hunt for the overseas walkers, who rang for help about 7.15pm. 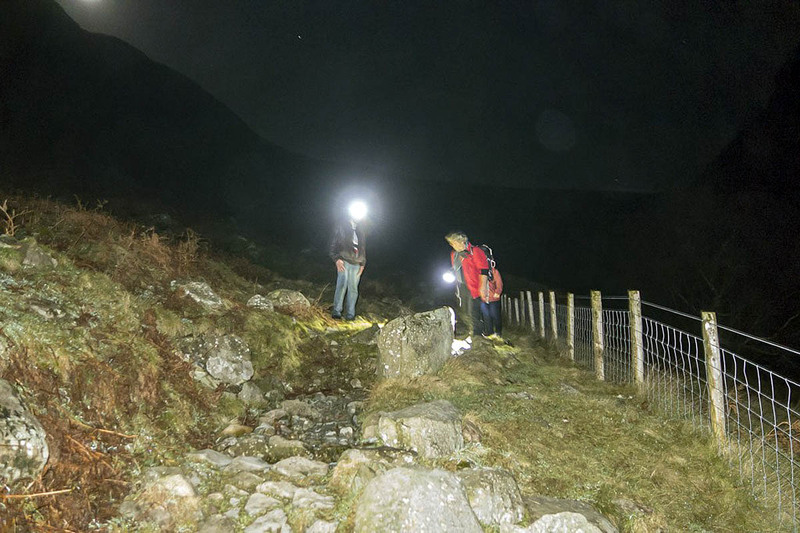 Kendal Mountain Rescue Team, which was covering for Langdale Ambleside colleagues while they held their Christmas celebration, requested help from Keswick MRT. Rescuers said the two walkers were young, inexperienced and very poorly equipped for their venture. An attempt by the Kendal volunteers to locate them using the Sarloc system, which sends a link to a smartphone, failed to elicit a response. The Keswick MRT spokesperson said: “Three of the team’s dogs were able to attend, and a small number of team members and the dogs searched Wythburn, Steel Fell and the path up from Rosthwaite. “It was this last group that came across the couple on the footpath, who were cold, wet and dispirited. “They were escorted down to Fairy Glen, and then were given a lift back to Ambleside, having been offered some advice about equipment and navigation. It appeared that they had walked round in a circle, and ended up on top of Eagle Crag. A Kendal MRT spokesperson added: “This callout serves as a reminder to be properly prepared for a walk on the fells. The rescue operation lasted almost seven hours.